The IB770 Half Size SBC is based on the Transmeta Crusoe processor. This half size SBC comes with on board 64MB or 128MB main memory. 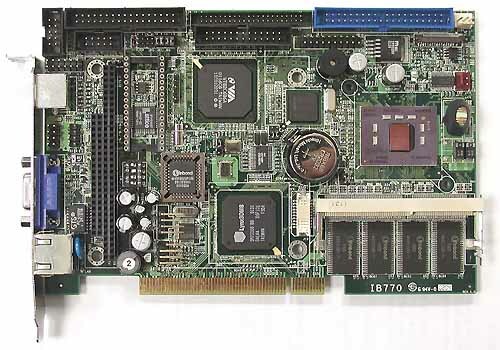 VGA is supported by the on board SMI SM721 VGA controller with 4MB of VGA memory. The Ethernet controller uses the 82559 chip from Intel.